If you’ve just moved to a new city or bought your first home, congratulations! Now the fun part really begins: designing your new space and filling it with the things you’ve always wanted. 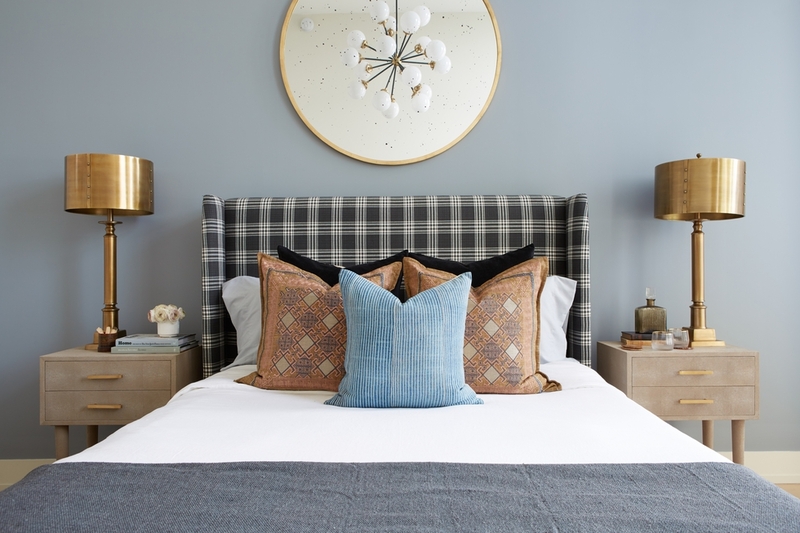 Before you start referencing your dream home Pinterest board and whipping out the measuring tape, our Decorist design experts have some advice for first-time homeowners and apartment renters alike. When it comes to designing a space from scratch, deciding upon new furnishings and décor can be pretty overwhelming. Thankfully, of all the decisions you have to make (paint colors, design styles, and customization options, to name a few), figuring out where most of your budget should go doesn’t need to be so hard. We’ve narrowed it down to just five items and areas of your home that are worth the investment. Start with these key big-budget pieces and deciding on décor accents and the less expensive items should come together easily over time. So go ahead and splurge on the below—they’ll be worth it for years to come. You’ll be spending most of your evenings and lazy days off on your sofa, so you’ll want to make sure that it’s worth every penny. Your sofa should be as deep as you like it and of course comfortable—be sure to try it in person so you’re sure that it passes the seat test. Less expensive pillows and throws can come later after you’ve chosen the best couch for your home. Our main tip: spend wisely on pieces that you’ll use every day. At the top of the list is your bed, one of the most worthwhile investments you’ll make. Splurge on a comfy mattress and stylish bed frame to create a restful oasis that will last a long time and surely get you to peak R&R every evening. If you work from home during the day or like to write in the evening, an inspiring yet functional office is a must. Shop around for a table or task lamp that covers all your needs whether it gives off warm light or is easily adjustable. A big, comfortable office chair with adjustable height and ergonomic support that encourages good posture is well worth the investment, too. Trust us, your back will be thankful that you made the splurge. A great dining table can make all the difference during those romantic dinners for two or gatherings with friends. 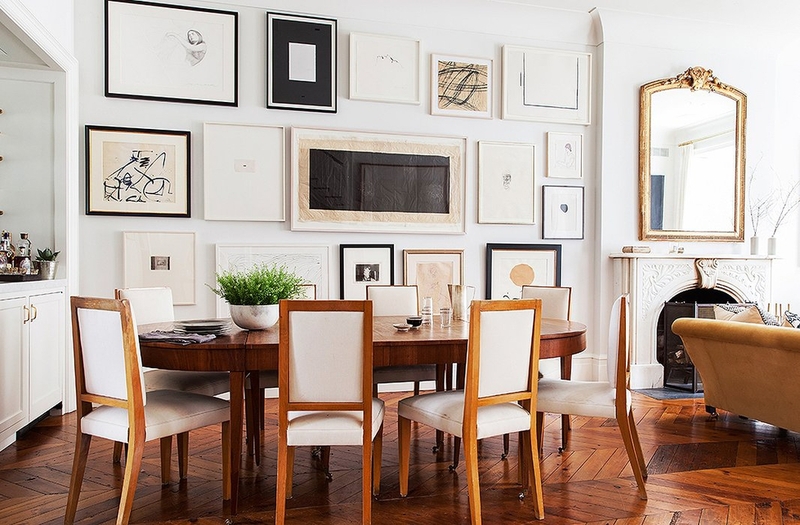 Whether you’re looking for a small dining table or a long 10-seater, invest in a marble or solid wood table that will last for years. The natural material will age beautifully over time and you can even use it as a double duty desk for bigger work project needs. Area rugs can completely transform a space. 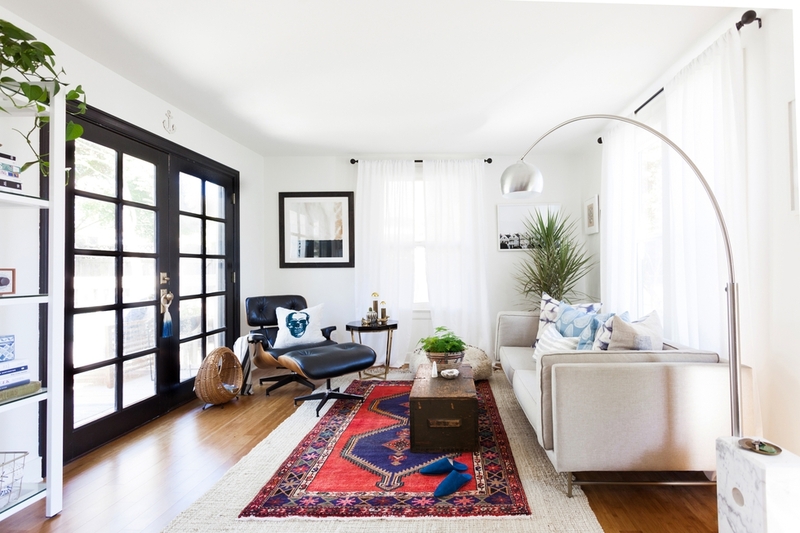 Feel free to spend the big bucks on a beautiful statement Moroccan or Persian rug that’ll add texture and color to your space. Give it a neutral base by layering it over an inexpensive natural jute or seagrass rug, creating a visually balanced look and feel for your home. Need help designing a beautiful home or apartment? Start a Decorist design service today to affordably turn your space into a well-designed and furnished home that fits your style and budget.